How ye dain the day, hen? 1. The one where Phoebe performs at the Free Fringe. 2. The one where Rachel gets a job at Brew Lab. 3. The one where Rachel loses her job at Brew Lab because she can’t tell the difference between hand-washed Bolivian single origin Caturra coffee beans and Nescafé. 4. The one where Joey becomes a presenter on STV Edinburgh. 5. The one where Joey gets fired for publicly admitting that no one actually watches The Fountainbridge Show. 6. The one where they all get incredibly drunk at Hogmanay and sleep together. 7. The one where the do exactly the same thing, but up a hill at Beltane Fire Festival. 8. The one where Joey gets a part on River City and moves to Glasgow. 9. The one where Joey gets fired because he lied about being able to do a Glaswegian accent. 10. 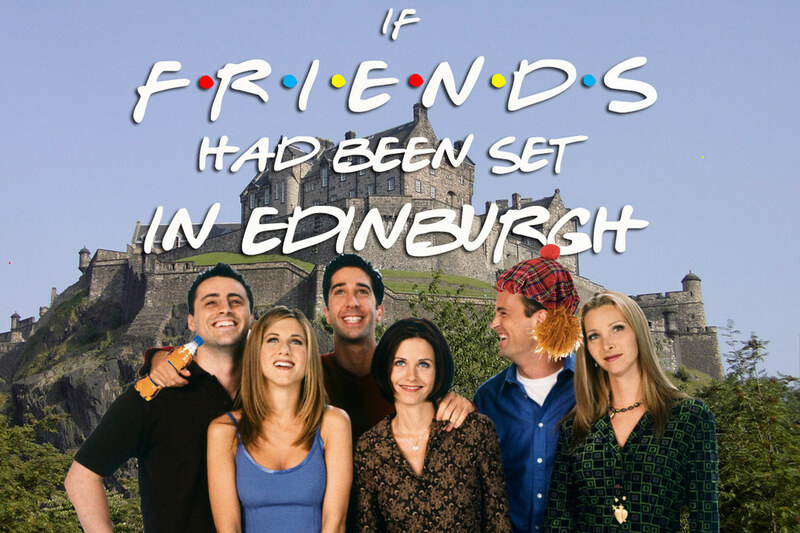 The one where they all live in Morningside and The Grange despite the fact they earn £6.50 an hour. 11. The one where Joey and Chandler have to phone Lothian Buses lost property after leaving the bairn on the 33. 12. The one where Rachel dresses up as Wee Jimmy because Ross has a Krankies fetish. 13. 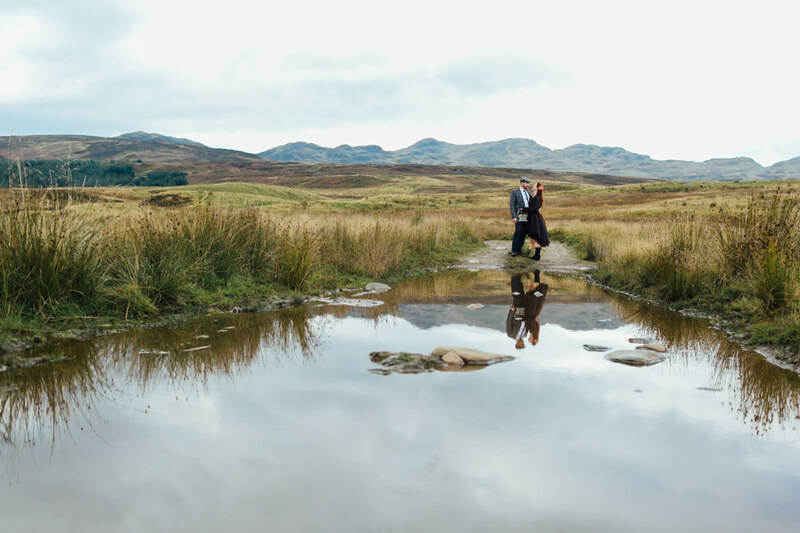 The one where Rachel and Monica fight because they both want to go out with Grant Stott. 14. The one with the dozen portions of deep-fried haggis. 15. The one where they all hog the only decent sofa in Kilimanjaro on Nicolson Street for 10 years. 16. The one where Gunther is actually an international student who got his job through the University Careers Service. 17. The one where Ross plays his keyboard at the Queen’s Hall to rave reviews. 18. The one where Chandler gies Monica a collie-buckie because she bought cheap boots from Shoe Zone. 19. The one where they discover someone pushed Monica and Ross’s granny aff a bus. 20. The one where the gang chums Monica and Ross to their granny’s funeral. 21. The one where Rachel gets a job at Armstrong’s on South Clerk Street. 22. The one where they constantly run into Phoebe’s ice dancer husband at CC’s. 23. The one where Ross and Chandler reminisce about the wild times they had when they lived in Pollock Halls. 25. …apart from Joey, who’s fae Fife. 26. The one where Phoebe gets a job at the Ipsos MORI call centre on Leith Links. 27. The one without the Rabbie’s Tours ski trip to Aviemore. 28. The one where they play rounders on the Meadows. 29. The one where Monica, Ross, and Chandler want to go to Opal Lounge, but Rachel, Phoebe, and Joey can’t afford it. 30. The one at Portobello Beach. 31. The one where Rachel finds out that Ross cheated on her with that tattooed lady with all the piercings. 32. The one where everyone thinks what Ross done was shan. 34. …and gives the compensation money to Rastatramp. 35. The one where Chandler gets a temp job at Scottish Widows. 36. The one in Dunfermline (part 1). 37. The one in Dunfermline (part 2). 38. The one where Phoebe starts volunteering at the Forest Cafe. 39. The one where Monica gets a job at La Favorita after leaving them a negative TripAdvisor review. 40. The one where Ross spends all his time in Doctor’s near Edinburgh University droning on about a) dinosaurs and b) his PhD. 41. The one where they’re all horrified by the prices at the Christmas market. 42. The one where Joey plays Widow Twankey at the King’s Theatre panto. 43. The one where Phoebe spends 52 hours on hold to Edinburgh City Council after receiving a demand notice for a Band H mansion in Stockbridge. 44. The one where Ross goes pure radge at work and has to take a sabbatical from the National Museum of Scotland because someone stole his Oink sandwich. 45. The one where Joey gets a job as a jumper-ooter on the “City of the Dead” graveyard tour. 46. The one where Chandler and Joey get drunk on Buckfast and steal a chick and a duck from Gorgie City Farm. 47. The one where Phoebe discovers that her birth mother is actually J.K. Rowling. 48. The one where Chandler and Monica move to Haddington. 50. The one where they complain about the trams.